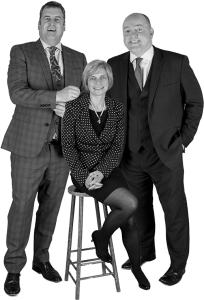 Looking for a law firm that truly loves people, is passionate about access to justice and professionalism and invests in the future of legal services provision? Look no further than Watkins & Gunn. We are proud to be a firm committed to jargon-free legal advice and delivering innovative solutions that work for our clients, as a result we attract sector-leading lawyers. We are currently seeking a Conveyancing Administrator to join our busy property team at our Pontypool office. Experience preferred but not essential as training will be provided. If you are interested in either position please send your CV to info@watkinsandgunn.co.uk or contact us to arrange a confidential chat. We would also welcome CVs from any gifted lawyers and support team professionals in other areas of law looking to work with a welcoming, progressive firm with an enviable client list. We believe in employing and retaining those who share our standards and who are hardworking, committed and dedicated to their own personal and career development. Click here to see if our values fit yours. We believe that to do a good job you need a good job to do. We offer a meaningful and rewarding career, job satisfaction and the opportunity to realise your full potential. Ongoing development and training are a high priority and with the benefit of this many of our staff have risen to senior positions within the practice. This is reflected in the fact that we continue to hold the Investors in People accreditation. We have a culture of continuous improvement and we are committed to providing all of our clients with an excellent standard of service. We are a Legal 500 recommended practice and we hold the Law Society’s Lexcel Quality Mark for excellence, only awarded to firms with the highest standards of management and client care. We have a strong social responsibility as a firm and as individuals. We are aware of our impact on the environment and are proud to hold the Green Dragon Environmental Award. We reward our employees with a very competitive salary plus an exceptional range of benefits including excellent holidays, death in service benefit and a Pension Scheme. We also operate a Structured Performance Review Programme. We are always interested in hearing from talented, ambitious, client focused legal professionals and support staff. Send your CV in today to info@watkinsandgunn.co.uk or call our freephone number today: 0300 1240 400.